Customers have been asking for this for a long time. 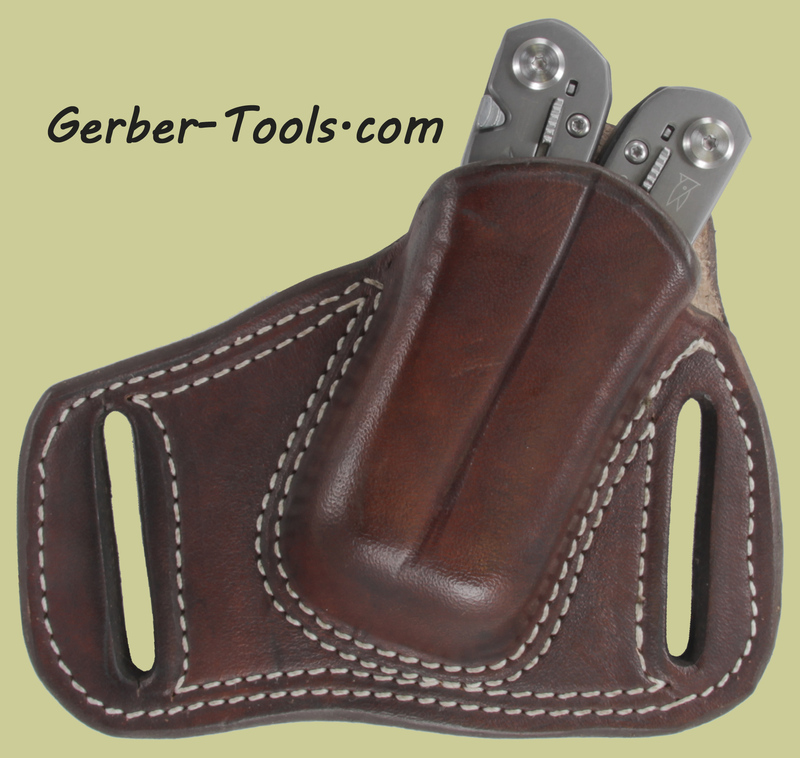 This is a genuine leather, USA-made leather sheath for the Gerber Suspension mutltitool. 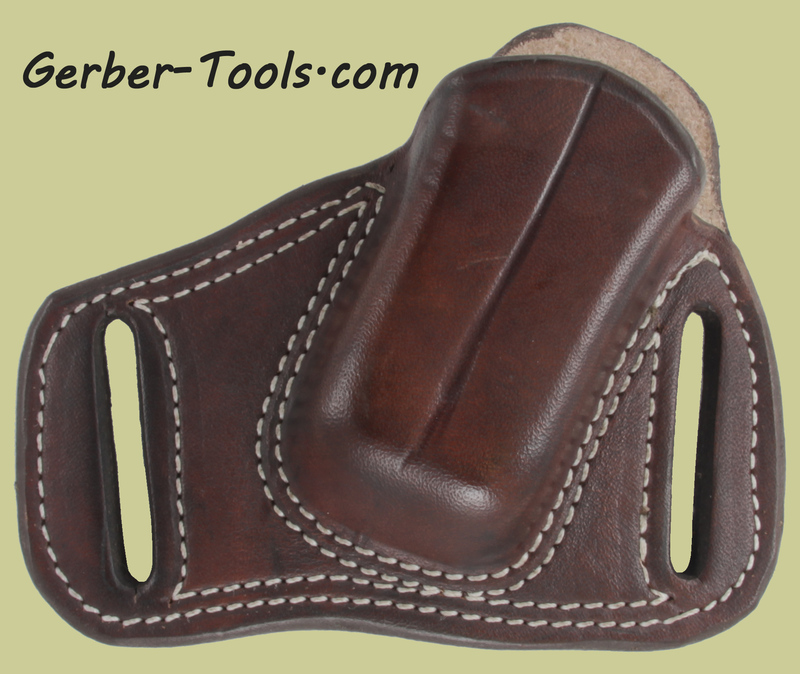 It is a pancake style holster that has slots in it large enough to accomodate a 2 inch belt. The mounting style is a scout carry where the Gerber Suspension is held in a diagonal position to conserve space. 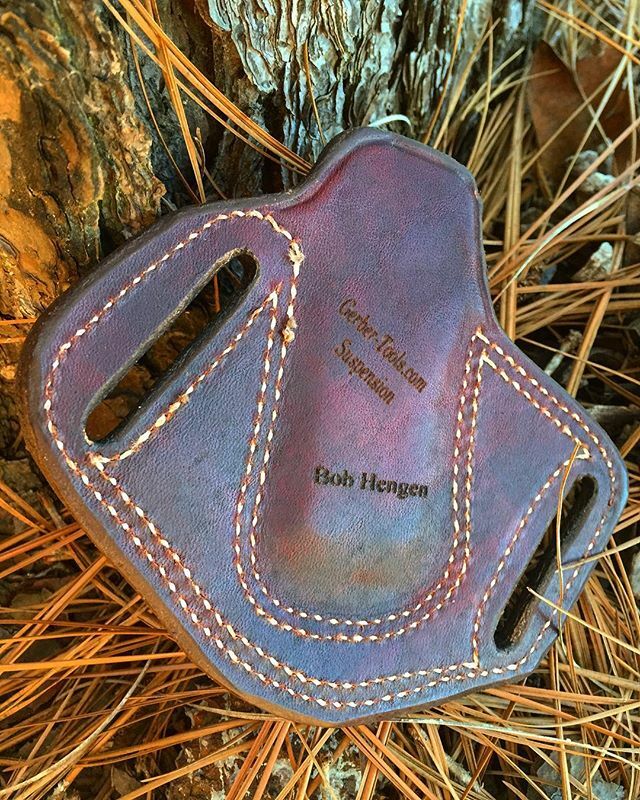 The sheaths works just as good in the small of your back as it does on your side. 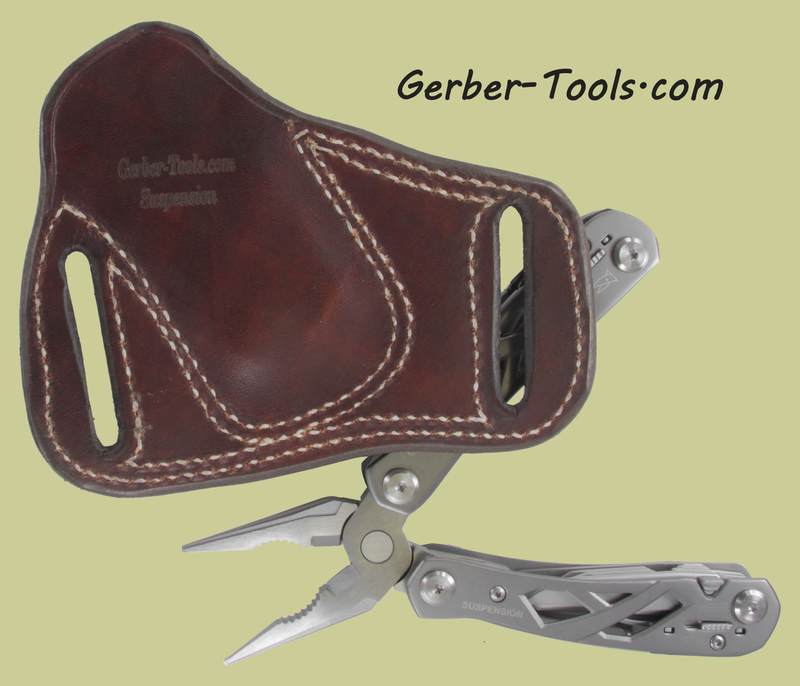 The design of the sheath is strapless, yet it holds your Gerber Suspension close because it has been molded to fit this exact tool. The Gerber Suspension is shown in the pictures for illustrative purposes. 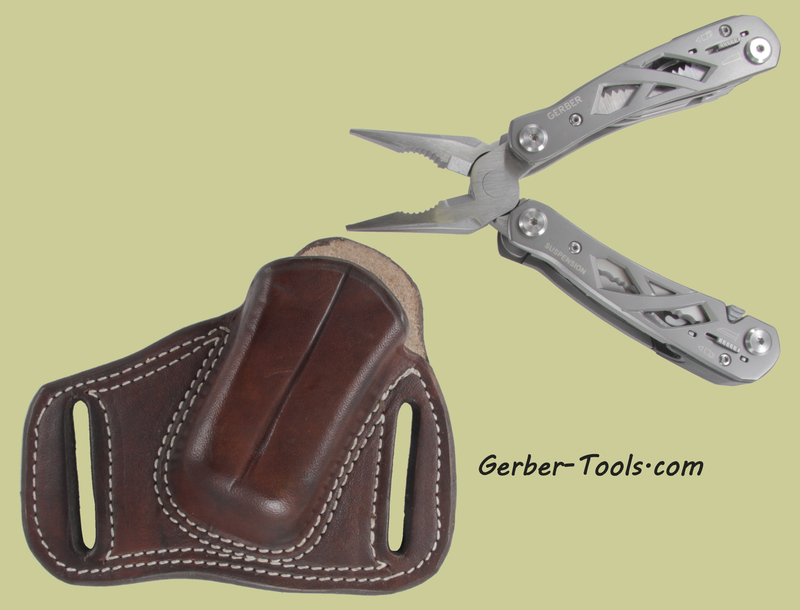 This offer is for the sheath only and does not include the Gerber Suspension multitool. 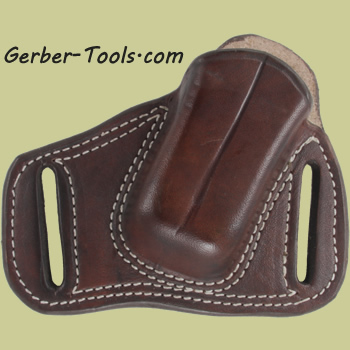 This sheath also fits the Gerber Evo multitool.